For those of you who may be unfamiliar with the Myers-Briggs Personality Types, they come from Carl Jung’s theory of personality. Personality type is a combination of preferences from four distinct classifications. The four letters that make up your personality type can help you to understand yourself and your interactions with others. There are hundreds of different personality tests you could take on-line to indicate which psychological preferences lead to your personality type. The MBTI or Myers-Briggs Type Indicator is what most would consider the standard for personality testing, although I hear the Harry Potter personality test is gaining popularity as well (representing Ravenclaw). So, here I devised a simple climbing personality test1 to see what kind of climbing personality you might relate to. The test is simple select one of the two options from each personality dimension/trait (below) that describes you best (for example I turn out to be an INTP). Once you have your four letter climbing personality, scroll down to see the climbing description of your personality type. From there, scroll down once again to find your very own climbing personality card. Is that you locking off on that crimp? Looking good! In addition to serving as your own personal personality card (feel free to cut out your card and place it in your wallet), you can use these cards to play a modified version ‘Guess Who’. Sure you can ask “Are they wearing glasses?” or some other description of a physical feature2, but now you can add to your inquiry “Are they an Introvert?” because psychological features can be just as telling as physical features (we are looking at you ‘Energizer’). Find out who’s hiding in this climbing edition of ‘Guess Who’, find out a little about your friends, and most importantly find out a little about yourself! We hope you have some fun. Let us know which climbing personality card you turned out to be. In no way should this test be considered scientific or even realistic, personality testing is a useful scientific tool, which should be administered by a trained psychologist. 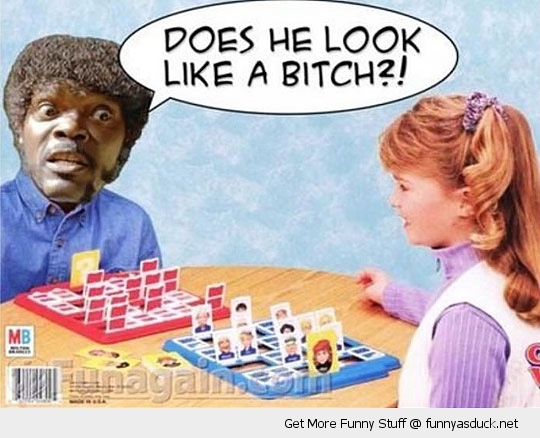 This is perhaps my favorite ‘Guess Who’ meme of all time. Previous Post Previous post:When in…Mexico? Next Post Osprey Poco AG, Child Carrier. I am clearly a solid INTP. I suppose that matches my solo & idiosyncratic hiking style. Sadly my joints don’t allow serious climbing, only occasional bouldering. Not sure what is meant by irregular beta, tho. Irregular beta basically means that you march to your own beat. Pretty sure that is a dead on description for you! Embarrassingly true. But in all honesty, that spiderweb is way more of a work of art than any line I might be on. And a world in a grain of sand. Seems like the best way to look at it runawaymudbaby, good call! Ahaha, Guess Who climbers! I am a solid INFP. Haha, I’m glad you know that game, I was afraid that no one would know what I was talking about! I wonder if a lot of Free Soloists are INTP, it just seems to fit the description. Thanks for the comment, now you’ve got me on a mission to find out the personality types of all those who free solo. INFP also–what is it about introverts and outdoors . . .
No doubt, good question Victoriaperpetua! I’m not a climber unfortunately however, haha. It’s only something I aspire to do someday. Thanks for the unique and fun post however. Eccentric Elayne, you have to get on some rock asap, everything about your blog suggests that you are born to rock climb! I have certainly felt the urge!! I listened to a podcast last week with a couple of experienced climbers, they both had extensive experience with search and rescue on Everest. It was really inspiring and motivating. I spent some time on the Colorado mountains this spring, but that was the first time I’d fully experienced mountains in my opinion. Sadly I’m a Kansas native, so I know the flat ground better than anything. I wish I knew more about Kansas, but I looked up some of the indoor climbing gyms, and your state has some nice ones, obviously not sure if there is one near you, but if so, my guess is that you would slay! I find this perfect, because I just read this and I made my account a couple of months ago on WP. Just look at my name! We love your sight Curious Climber, and stoked you found us! If you ever have any ideas for teaming up on a post let us know! Thanks you! I will definitely let you guys know that sounds amazing. INFP for me. Beauty rules. I climb for the view. Very clever and really put together nicely, great work I shared it on my blog. Wow kidb, thanks for the kind words, and the share, that is deeply appreciated!!! This was very informative. Much more clear than most articles on personality traits. Great job! Thanks Tango, and thanks for the pin, you sure know how to make a persons morning! ISTJ – make a plan, keep a plan. I also enjoy getting out solo. Clever application of the MB test … thanks for posting. As I’ve aged I’ve learned the transience of tests and other fashions. I no longer do them; no need, I know I’m batty, bird-brained, loopy, and probably shouldn’t be allowed to play with matches or pointy objects … but unlike many I’m quite harmless. Boom boom! I love the way you qualified “today”, I think that way all the time too! Yes, love the little bit of unpredictability! I have to admire your creativity with this post. Myers Brigg personality testing is an interesting topic of conversation and generally can be interpreted as being ‘spot on’, although i have my doubts. I do however love your psychological slant on climbing, what is clearly your passion. Awesome! Thanks for this comment, that is a day maker for sure! Also, let it be known, that I love your name! Awesome I will take a look. Please feel free to follow my blog. I will do the same with yours. Its nice to make connections, especially where least expected! Thank you very much for your feedback. It is really appreciated. I am an ENFP so I did not mind asking for help when I was unsure if I was on the right path on my recent vacation in the Cotswolds. But I am a “J” wannabe and strive to be more organized. I love how you put that Madeline, I think I may be a J wannabe as well! This is fun and clever! Great idea and also a fab ice breaker for team events. Thanks for checking out my blog, if you fancy tackling Ol Doinyo Langai or Kilimanjaro let me know, I can help with organising. That sounds great Annie, I will definitely let you know if/when that trip presents itself!!! This was a hoot! Why ask for something when I can just wait for a newer version, yes? Great point florenceandthei! I’m happy you liked the post! May I know which Theme you are using for this site? It’s Awesome.